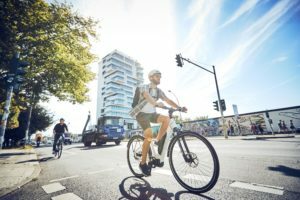 AMSTERDAM, the Netherlands – While the Dutch e-bike market is often regarded as an example for other countries, its performance in 2012 was not as fortunate as during the past decade. 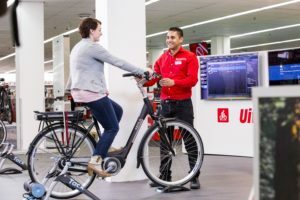 Less e-bikes sold in the Netherlands; new trend or minor dip? 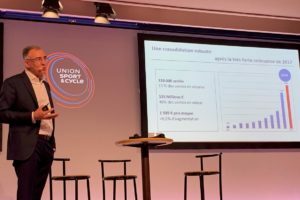 “It looks as if the growth in the number of e-bikes sold, as well as the increase in the average price in the Netherlands is slowly coming to a halt,” said Niels van Steijn of the GfK Retail and Technology Benelux at his 2012 market data presentation at the Congress organized by Bike Europe’s sister magazine ‘Tweewieler’ held last Monday. The Dutch IBDs are losing market share in the city bike segment to DIY stores. Such stores managed to grown their turnover by 7% in the January to October 2012 period. Money wise the Dutch IBDs have a market share of 95% and volume wise of 80%. In the Netherlands e-bike are almost exclusively sold through the dealer channel. 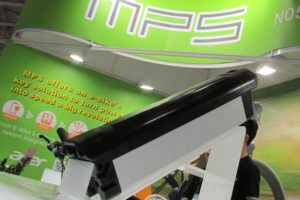 Despite disappointing e-bike sales, the average sales price of all bikes sold increased from 645 euro in 2011 to 668 euro in 2012. 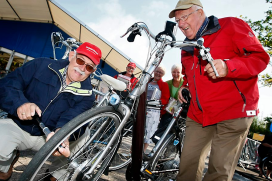 The e-bike has always been and still is a product for the elderly in Holland. Currently 80% of all electric bikes is sold to people over 50 and 50% to people older than 65 years. This is changing slowly thanks to marketing campaigns by (e-)bike manufacturers. 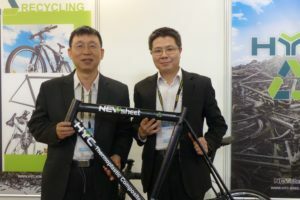 Once they manage to catch the interest of younger consumers for electric bikes, the industry will open up a huge market potential. Today one out of every five bicycle sold in the Netherlands is an e-bike and 10% of all households owns an electric bicycle.